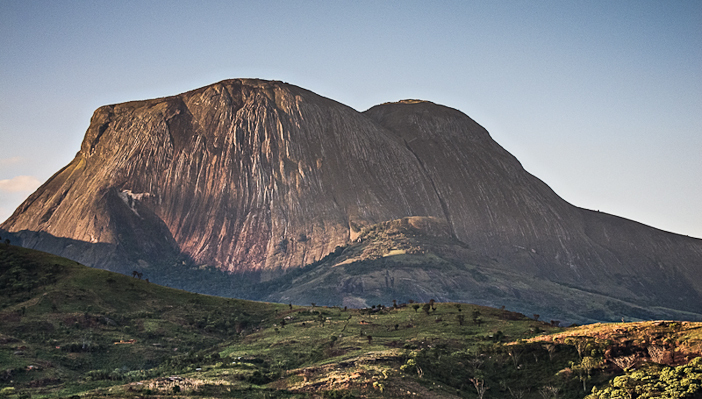 Mozambique’s Mount Namuli is not for the fairweather trekker. The granite slab of its unexplored south face is full of untold potential hazards, not to mention the puff adder and black mamba snakes found at the base. And if you ascend it without the blessing of the Queen of Mugunha, so the legend goes, you will die on the mountain. Yet the attractions outweigh both real and legendary threats. Namuli is an inselberg – from the German insel (island) and berg (mountain) – a monolith of erosion-resistant rock that juts out of the landscape of grassland and rainforest like a cloud-capped fortress. Many inselbergs, including Namuli, are also islands of exceptionally diverse life. The Critical Ecosystem Partnership Fund (CEPF) has identified it, and the Eastern Afromontane it is part of, as a biodiversity hotspot. The unexplored south face of Namuli. All photos courtesy The Lost Mountain. After hearing about Namuli from British scientist friends, Majka Burhardt – a pro climber, writer and film producer – mounted a recon trip there in 2011 with fellow climber Sarah Garlick and others. Burhardt (left) and Garlick examine lines on the approach the mountain. What was the local reaction to her mission? For many years Namuli was “lost” because of civil wars, beginning in the 1960s, that convulsed the southeast African country. War continued into the ‘90s and today landmines remain a hazard in the south; British-based NGO Halo Trust led a successful effort to eradicate landmines from northern Mozambique by the mid 2000s. Garlick (left) and Burhardt make camp. 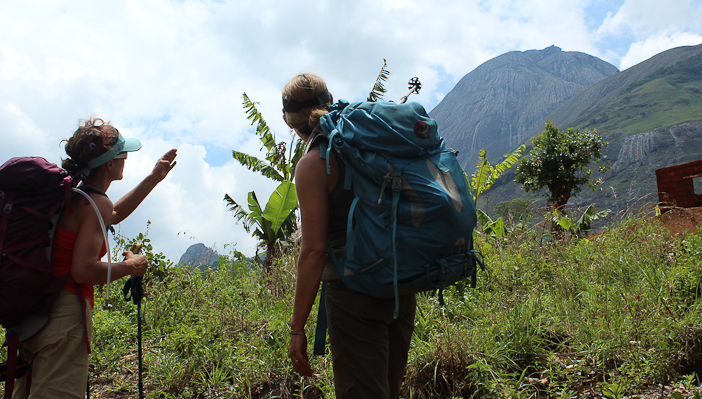 Burhardt will return to Namuli this May with pro climber Kate Rutherford and a film crew plus an international team of scientists who will conduct surveys of Namuli’s southern cliff face, surrounding grasslands, and rainforest. The climbers will establish a route for the scientists and film crew to ascend the south face. 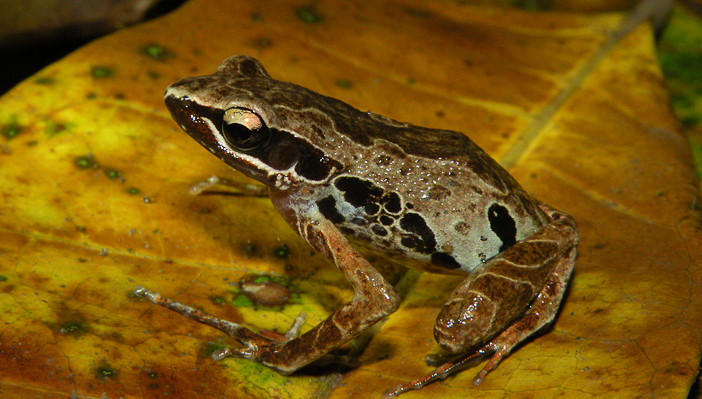 The scientists will be on the lookout for king dwarf geckoes, mountain ants, mongrel frogs, skink (a lizard), birdlife, and bats – many of them previously unknown species believed to be endemic to Namuli. Find out more about the The Lost Mountain Project here. Join the Kickstarter campaign here. Majka Burhardt and Kate Rutherford are Patagonia Climbing Ambassadors. The Lost Mountain is also sponsored by Clif Bar and is a non-profit partner of 1% for the Planet.